It’s midway into the semester and you’ve missed two quizzes and possibly a discussion board. You’re also probably panicking as you realize you barely remember what’s due tomorrow for Intro to Sociology. 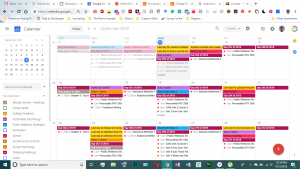 Well, fear not for I have three ways for you to save your semester with improved organization so you won’t have to freak out when things are due. Google, iCal, and Outlook offer the ability to insert multiple events and be reminded of when things are due. If you use iCal or Google and own and iPhone/Mac, reminders added in Google appear instantly in iCal with zero issues! Also, if your school uses Blackboard, you can go to the calendar section and add it to your Calendars with a link! First, login to your blackboard page and open the side menu from your name. From there, click on the small calendar (little rectangle with mini squares in it) to go to the calendar screen. After viewing which classes put their events and assignments in the calendar, scroll to the bottom of the page. 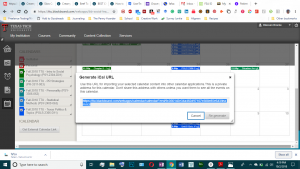 On the left side, there should be a button marked “Get External Calendar Link”. Click on that button and add the link to your Google/iCal/Outlook calendars. You will automatically get reminders about assignments and other things like quizzes and homework! A physical planner has advantages, too. Sit down and write everything that’s due on a weekly/daily basis. It’s portable and won’t die on you like a phone or laptop can. You can also color code and use stickers if that motivates you. 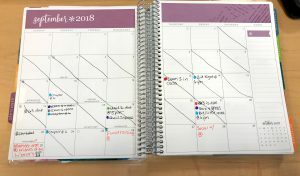 Some planners, such as Erin Condren or Poppin planners, have predesigned pages and stickers that you can use to mark specific events. You also can use a bullet journal, which allows for more customization by allowing you to create how each week, day, and month looks. Finally, for everyone whose every move is nailed down to an app, there are timetable/schedule apps that help you plan ahead. For example, MyStudyLife can remind you when classes are and when homework is due, plus when to study for an exam (a week or even further in advance). 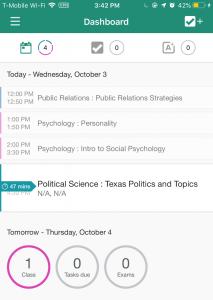 By inputting your schedule, you get regular reminders from the MyStudyLife app about class times, assignment due dates and upcoming exams. Other apps to check out: myHW, TimeTable, and Coursicle. Hopefully, this article gave you a jumping off point for your organizing journey! 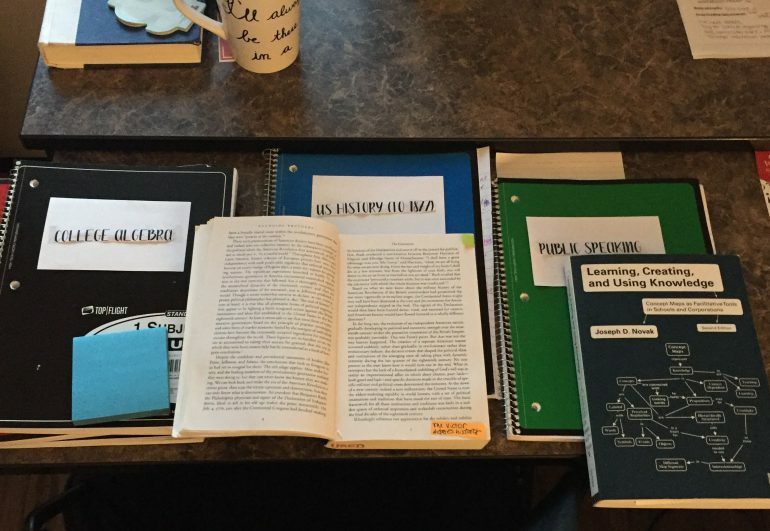 While I only covered 3 approaches to getting organized, being able to find what works for you is crucial to your academic success in college. When you fail to prepare, you are preparing to fail. Improved organization can help you reach your goals and become the best person you can be academically and socially. Which of these tips do you see working for you? Please let me know by commenting below! Blessen Brocke is a junior at Texas Tech University majoring in Psychology. 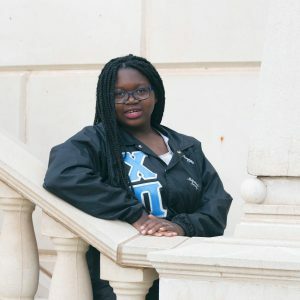 When she isn’t diving deep into her schoolwork, she’s either reading, writing or running back and forth from meetings for various organizations such as Chi Pi Omega Multicultural Sorority, History Club and volunteering in the local community. Blessen is a Pearson Student Insider. To learn more about the program and apply, click here.